Are you one who suffers from sore muscles, muscle sprains, back shoulder neck pain, muscle strains any of these types of things and always use stuff that is unnatural or smells really bad?? Well not anymore have you heard of Zims Naturally Based Products they make products to help with just that but the natural way. Their were a couple items they sent us to try and we have been using them for a few months to see how they have worked. 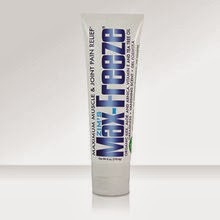 The first product is the Max Freeze Gel my dad was really sore for playing ball so I offered for him to use this and he said he could tell a little difference not by much granted he is a little older so it may be harder for him to tell. I tried this also from being sore when I walked about 8 miles in one day and I felt it worked but didn't take the pain away 100% but what does?? Directions: For adults and children 12 years and older. Apply and gently massage painful joints and/or muscles. Repeat as needed no more than 4 times a day. Wash hands after each use with cold water. Warnings: Use only as directed. In case of accidental ingestion: Seek professional help and contact Poison Control Immediately. 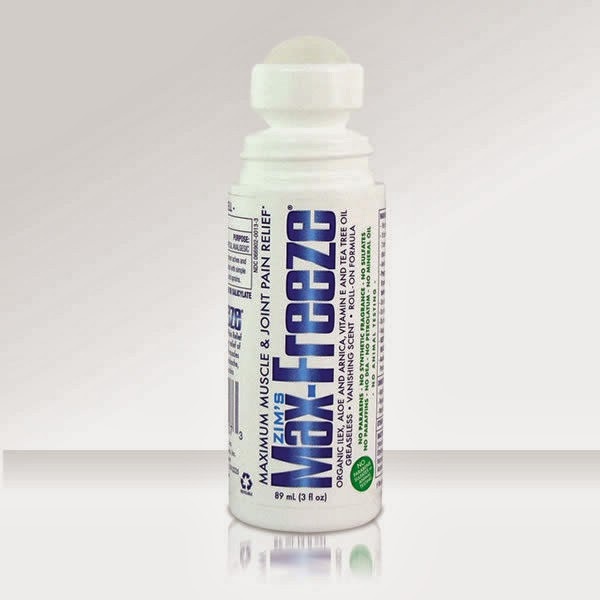 Also the next product that I used was the Max-Freeze Roll-on this also helps with sore muscles, sprains, back shoulder, and neck pain and ankle, elbow, knee, and hip and so much more. Like I said before I think it did help but it didn't last very long but for temporary relief it does the job. I will continue to use this as it did help and I would recommend it to everyone for it's natural purposes. I would highly recommend if you want to go the natural way. would so love to try this,this sounds like something that can help me with my neck pain..